The Warren Hills Regional School District purchased a parcel of undeveloped land across the street from the regional high school. 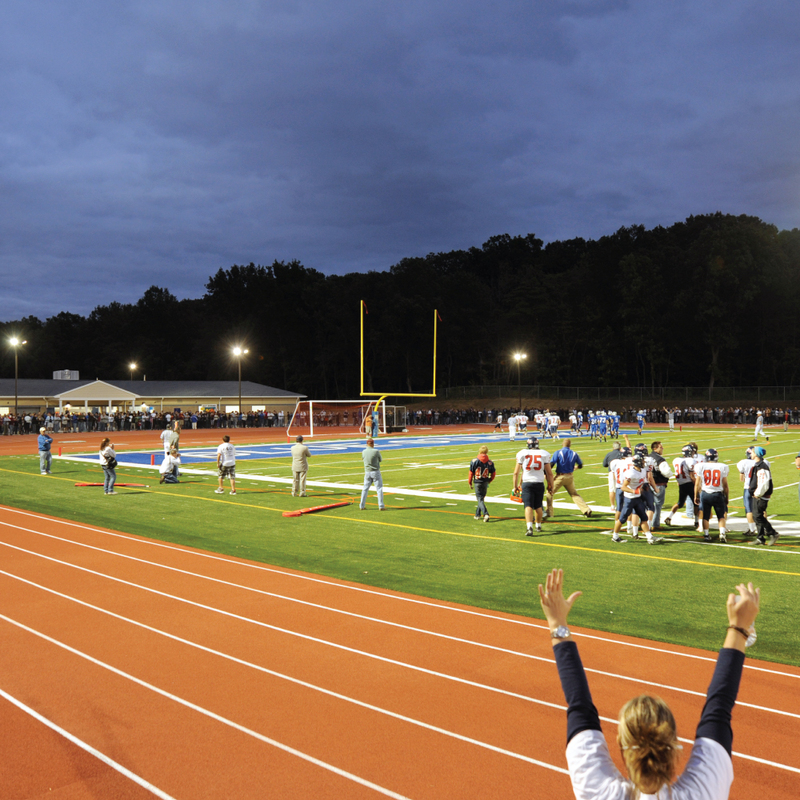 The land was put to good use as a major portion of the district’s athletic program now practices and holds competitions at the new athletic complex built on this site. The complete scope included a new football field, new track, team rooms, six tennis courts, a concession stand, and toilet rooms. 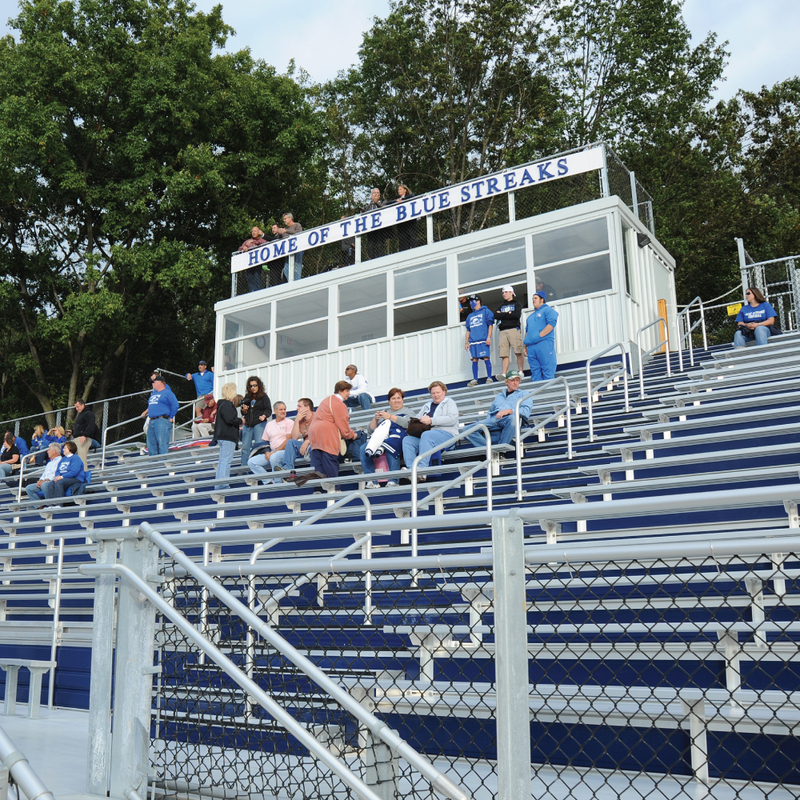 The much needed athletic facility allowed Warren Hills Regional to move their football games from the overcrowded space behind the middle school to a new field equipped with the latest artificial turf technology, bleachers for 3500 fans and lights for night games. Two auxiliary structures, totaling 4000 ft2, provide areas for new concessions, team rooms and toilet facilities. 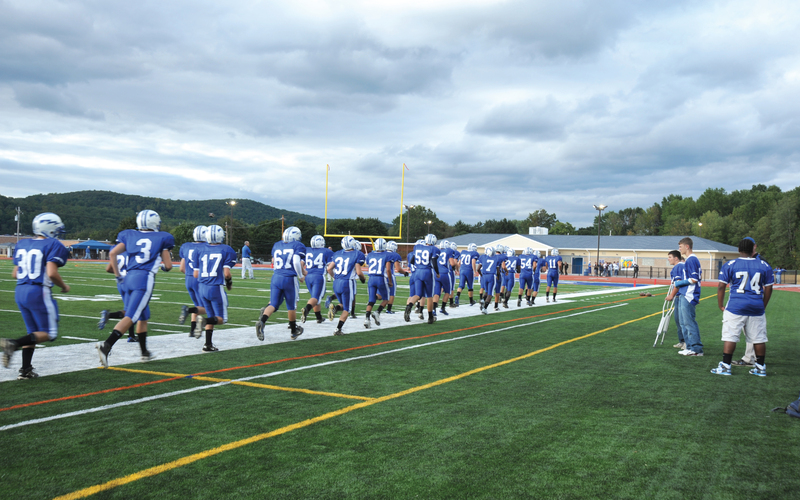 The new field turf technology allows the district to use the new play surface hundreds of more hours per year giving the physical education program the equivalent of two natural fields in usable hours.